The Flair Dance Academy had a very successful year due to their hard work and dedication. The Flair Dance Academy personnel consists of Amanda Grace, Lou Gardella, Rachel Covert, Alex Manetta, Nanako Yamamoto, Alyson Monaco, Leah Harris and Dawn VanNess. Flair Dance Academy has contributed to the Hillsborough community by raising money for Steps Together through recitals, competing in The Power of Dance and giving free dance classes to Girl Scout Troops and children with special needs. They won Regional and National Dance Competitions and performed at Madison Square Garden for the NY Knicks and NY Liberty basketball teams. 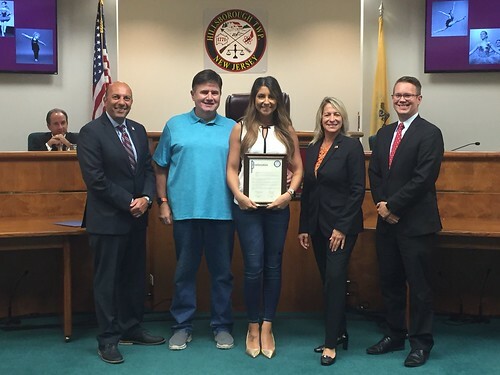 The Hillsborough Township Committee commends Flair Dance Academy for their unwavering teamwork, dedication, and community support throughout the year.